SQL Server for Linux hits public beta, and Azure App Service now supports Linux. After a long campaign against open source and Linux, Microsoft has for the past few been pushing its love of the popular operating system. On Wednesday, the company made that even more official by joining the Linux Foundation, an organization that shepherds development of the operating system’s kernel and provides funding for open source projects. Microsoft also launched the public beta of SQL Server on Linux, the much-anticipated port of the relational database software that was first announced in March. Linux developers can also start working with a beta of Azure App Service, which is designed to take away the work of managing infrastructure for cloud-based apps. The moves are part of an ongoing effort by the company to adopt and support Linux and open source in a variety of different ways. Microsoft CEO Satya Nadella first proclaimed in 2014 that the company loves Linux, and we’ve seen the results of that ever since. But things weren’t always so cozy between the two organizations. In 2009, Zemlin blasted Microsoft for “secretly attacking Linux” after it sold a group of Linux-related patents. Microsoft, meanwhile, attacked Linux, with former CEO Steve Ballmer famously calling the operating system a “cancer” 15 years ago. But at the same time, the door was open for the two organizations to work together, even during a period when Microsoft was much more aggressive towards Linux. A warmer relationship between the two organizations began emerging last year when the two launched a certification for running Linux on Azure. In order to obtain the certificate, sysadmins had to pass a Microsoft exam about Azure, and a Linux Foundation exam about managing the open source operating system. Microsoft also joined the Eclipse Foundation earlier this year. Now, Microsoft’s move to join the Linux Foundation is an important step, according to IDC Program Director Al Hilwa. With the release of the pubic beta for SQL Server on Linux, anyone will be able to take the relational database software for a spin on a Linux machine, though they shouldn’t expect the full set of features available on Windows to make their way over to Linux just yet. 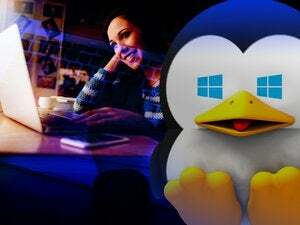 Microsoft has planned to make SQL Server on Linux available in the middle of next year, and Wednesday’s launch is an important step along that path. Microsoft General Manager Rohan Kumar said during a press event that the SQL Server team put a lot of work to making the relational database software feel like it’s at home on Linux, and not just a straight port of the database engine alone. Azure App Service is also getting the Linux treatment. Developers building Node.js and PHP applications that run on Linux now have a beta version of Microsoft’s platform-as-a-service offering to try out. It’s designed to help developers build web and mobile apps that easily scale and integrate with other services. All of this is part of a suite of announcements Microsoft made at its Connect conference in New York City on Wednesday. On top of all the Linux news, Google will be joining the .NET Foundation, and Microsoft is releasing a handful of updates to various Visual Studio products.